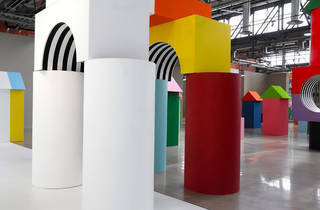 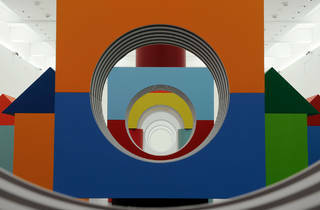 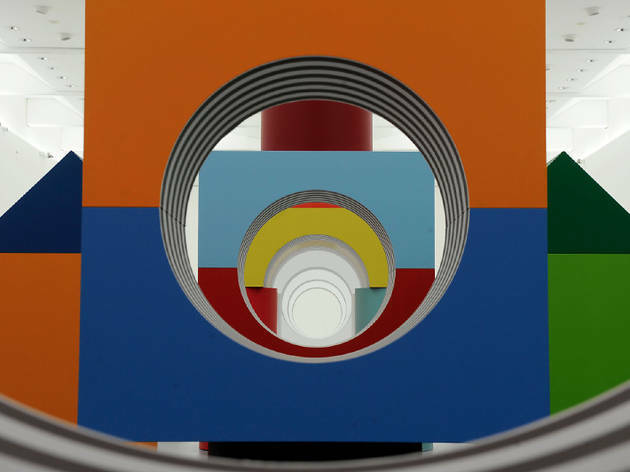 Daniel Buren is one of France's leading contemporary artists and has exhibited work at an astonishing ten Venice Biennales. 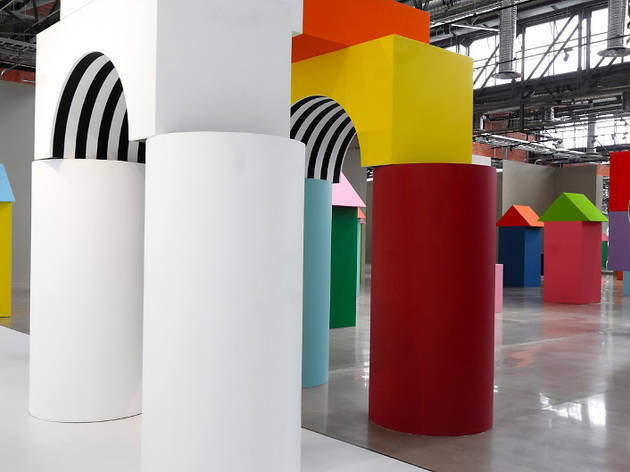 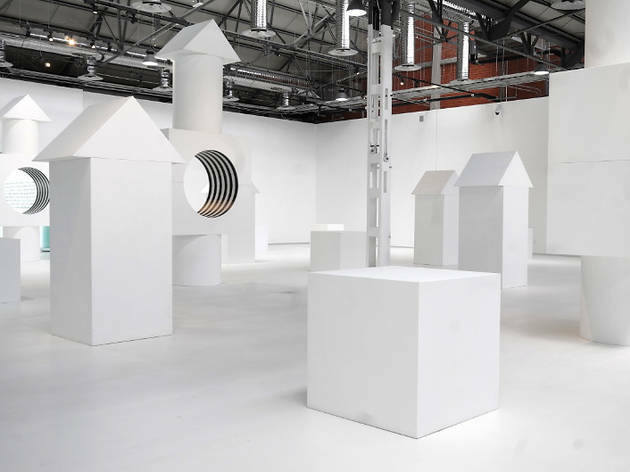 He's best known for his site-specific stripe installations, and there'll be glimpses of those stripes (which have featured in his artworks since the 1960s), in the mammoth installation he's bringing to Carriageworks. 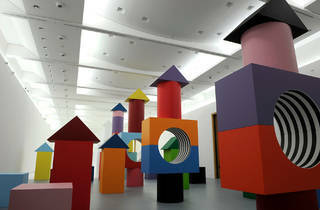 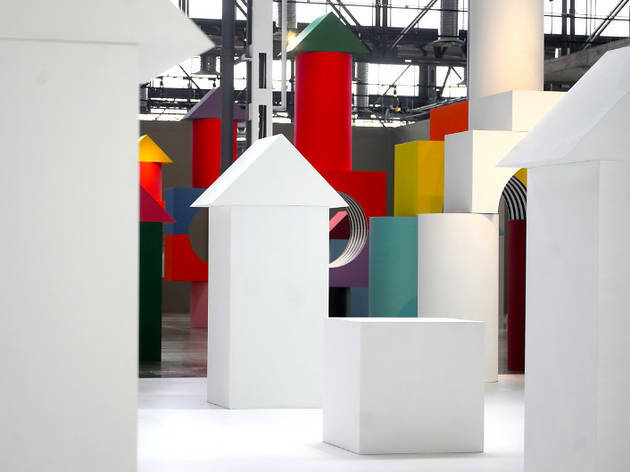 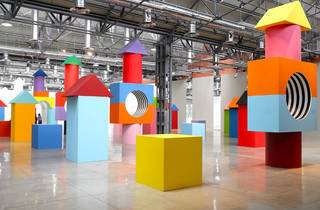 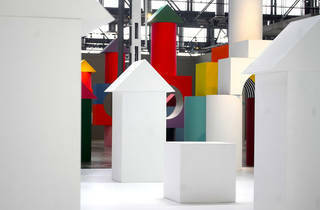 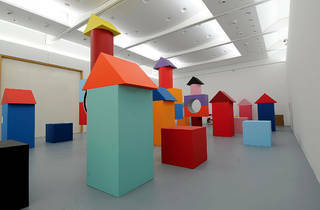 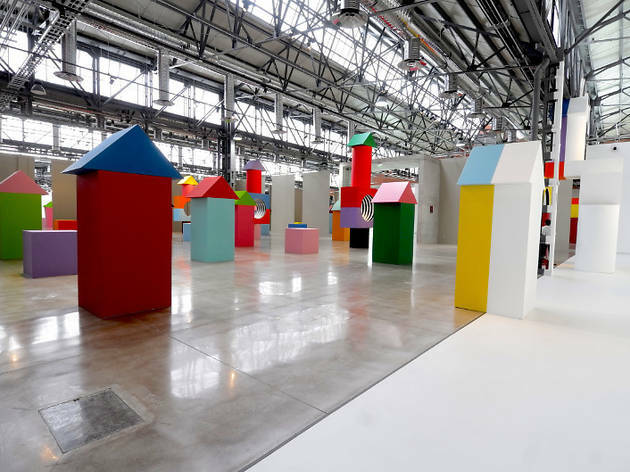 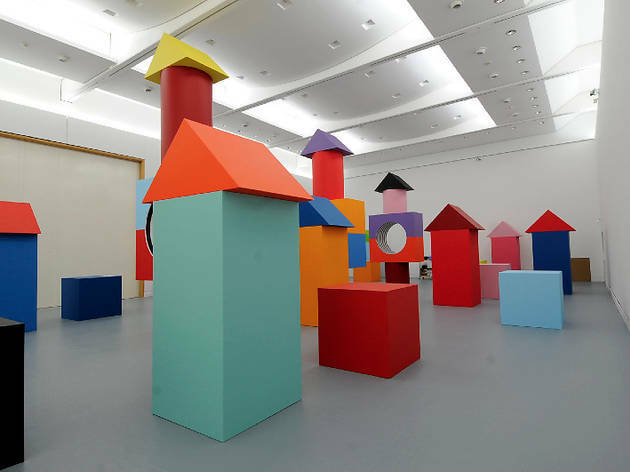 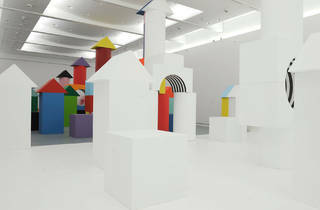 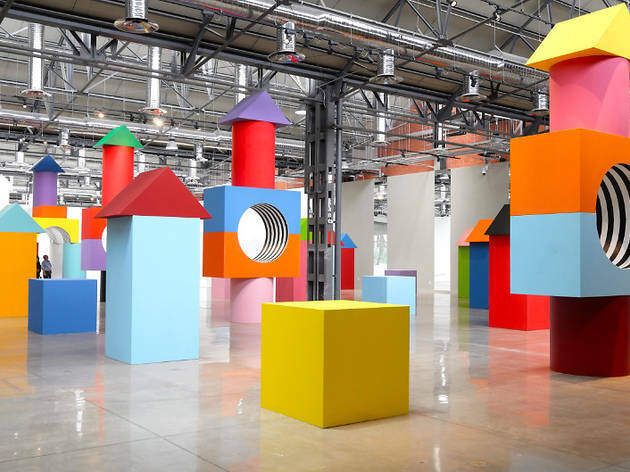 'Like Child's Play' features 100 oversized children's wooden block toys arranged into a colourful cityscape. 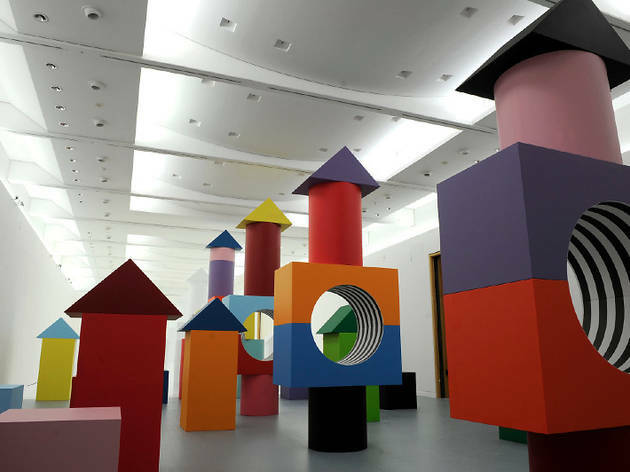 It'll be a little like stepping into a Toy Story movie: the toys that we once played with and held dominance over as children now tower high above our heads. 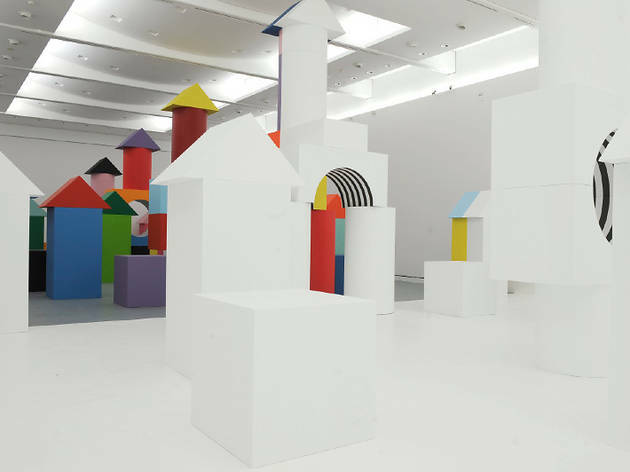 The installation was first shown in 2014 at Musée d’Art moderne et contemporain of Strasbourg in France. 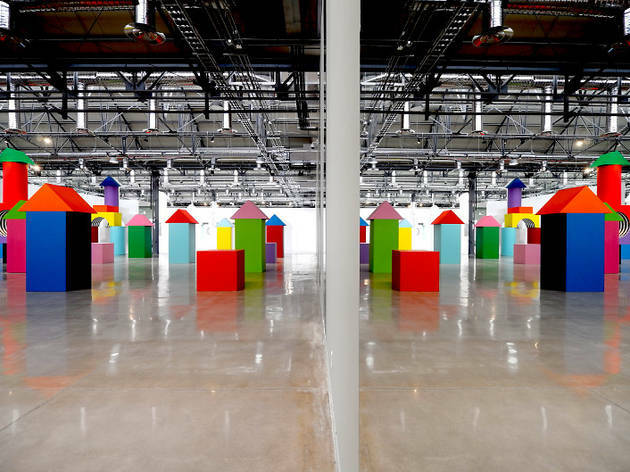 The Sydney showing is brought to Carriageworks by Anna Schwartz Gallery, whose latest collaboration with Carriageworks was Katharina Grosse's hugely popular foyer installation 'The Horse Trotted Another Couple Of Metres, Then It Stopped'. 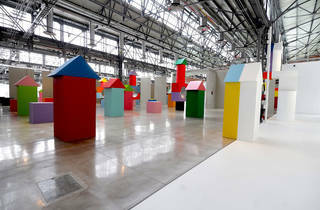 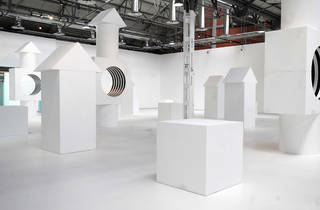 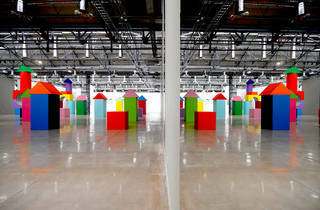 'Like Child's Play' will be in Bay 21 at Carriageworks from July 7 to August 12, and is free to visit.